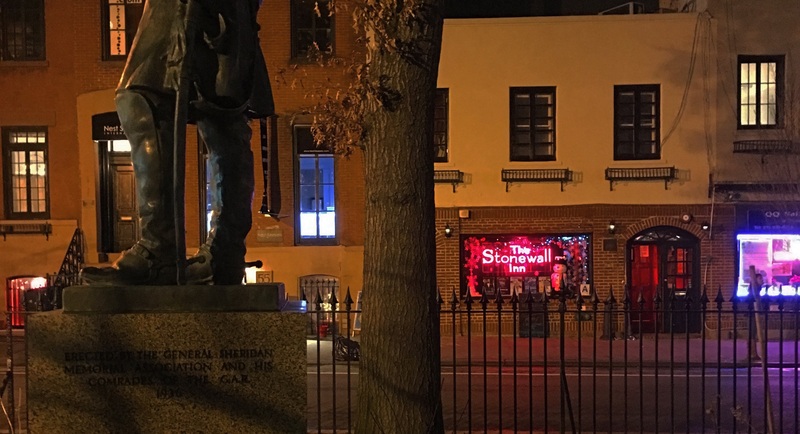 PODCAST The legacy of the Stonewall Riots and their aftermath, in a podcast history told over nine years apart (May 2008, June 2017). 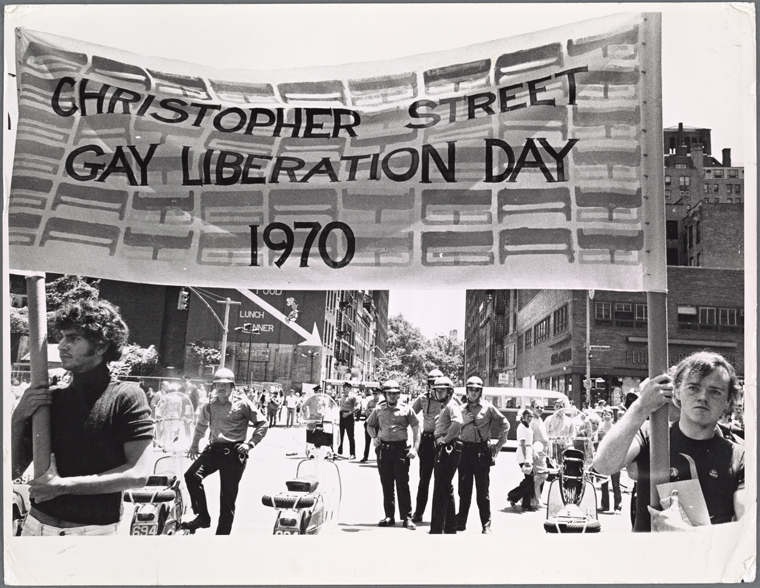 In the early morning hours of June 28, 1969, undercover police officers attempting to raid the Stonewall Inn, a mob-controlled gay bar with darkened windows on Christopher Street, were met with something unexpected — resistance. 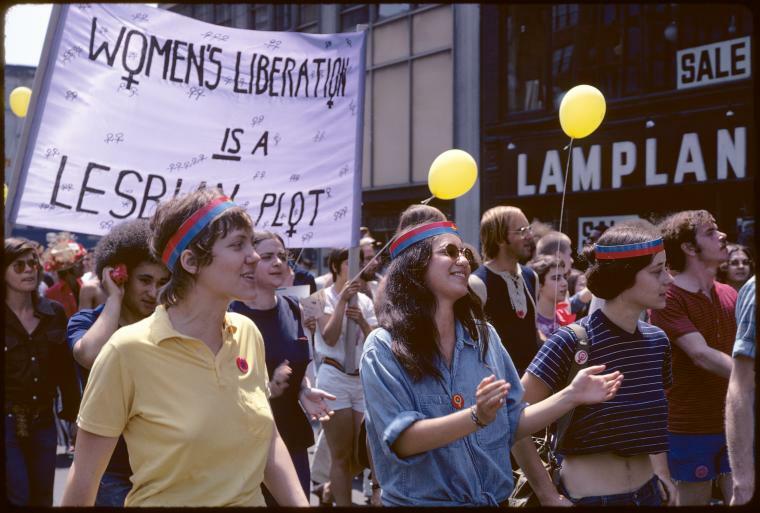 That ‘altercation’ was a messy affair indeed — chaotic, violent, dangerous for all. 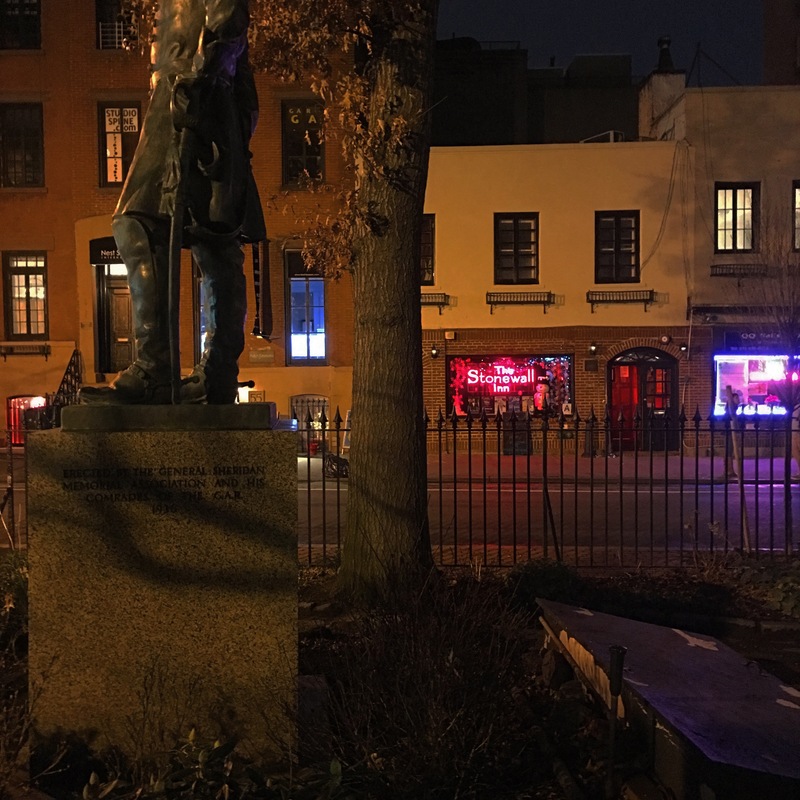 Homeless youth fought against riot police along the twisting, crooked streets of the West Village. 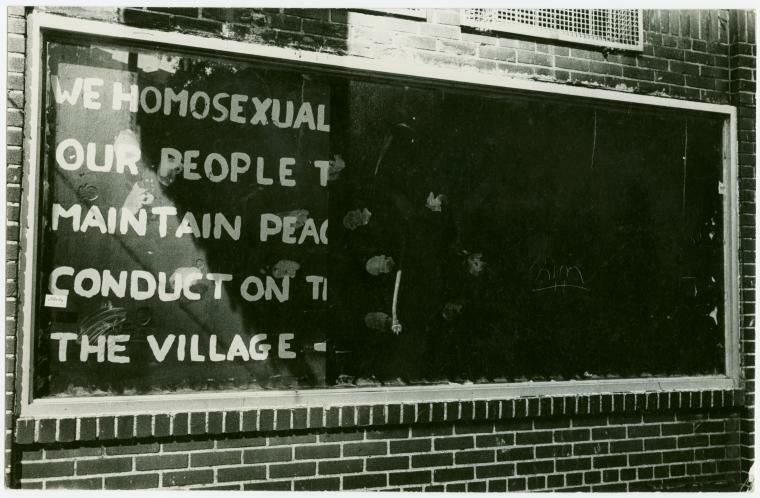 And yet, by the end, thousands from all walks of life met on those very same streets in the days and weeks to come in a new sense of empowerment. 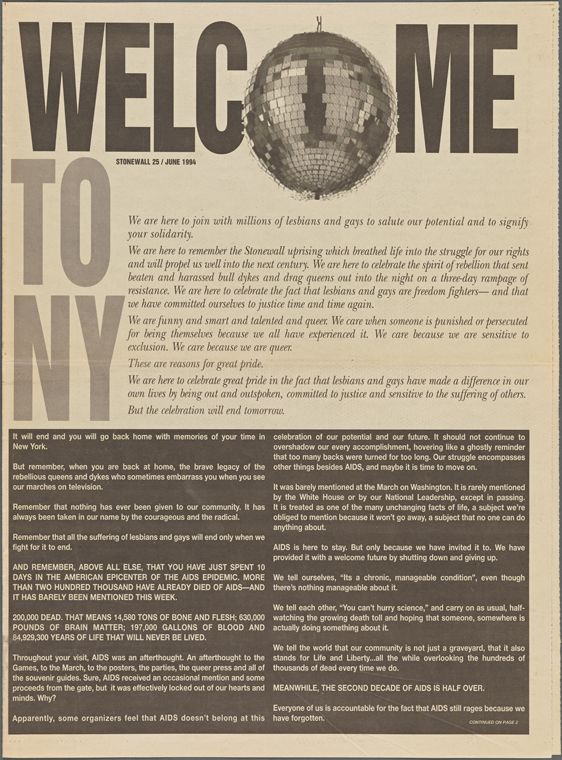 So much has changed within the LGBTQ community — and so much was left out of our original show — that’s we’ve decided to do something unique. 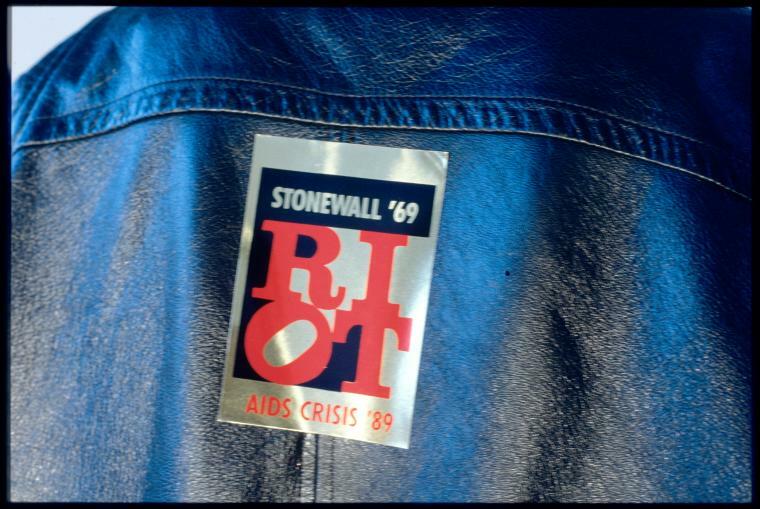 In the first half, we present to you our original 2008 history on the Stonewall Riots, warts and all. 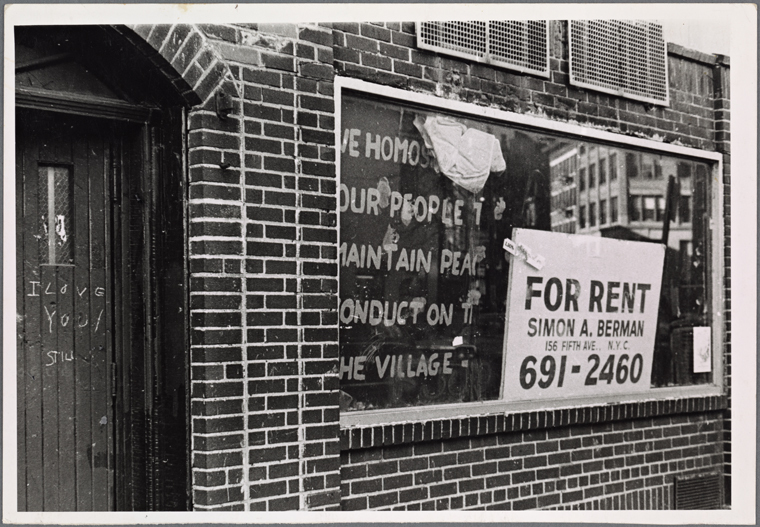 In the second half, we present newly recorded material, exploring the effects of Stonewall on the crises that faced the gay community in the 1980s and 90s. 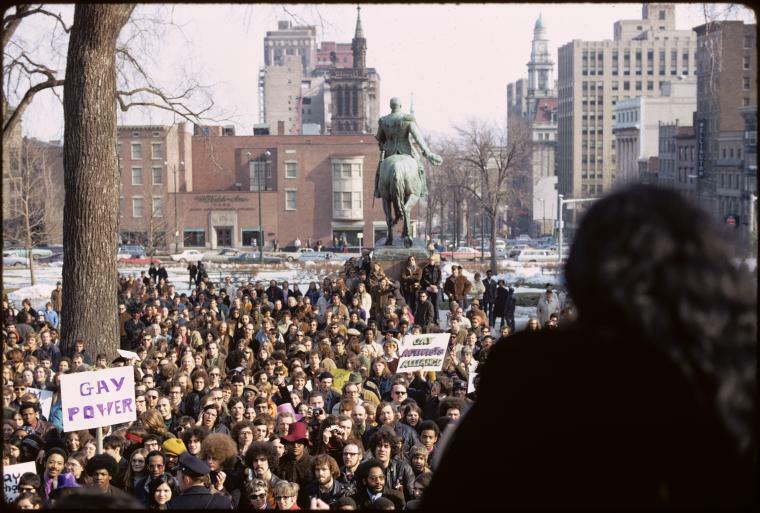 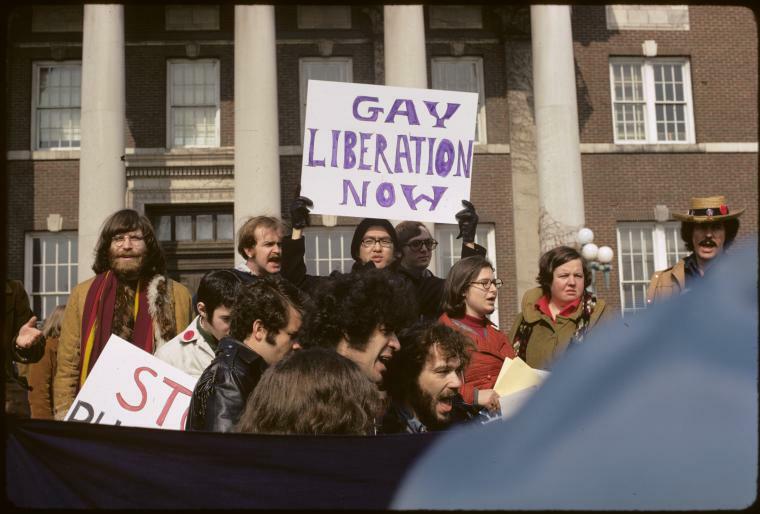 Now an official U.S. National Monument maintained by the National Park Service, the Stonewall National Monument preserves New York City’s role in the birth of the international LGBT movement. 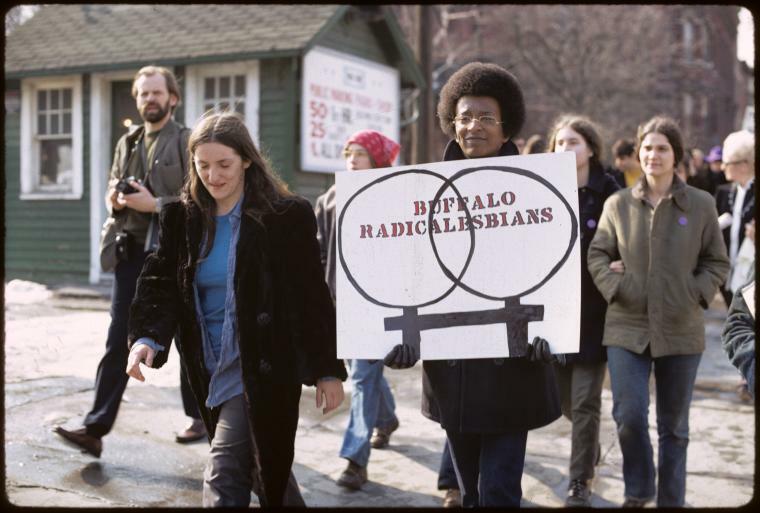 To get this week’s episode, simply listen above, or download it for FREE from iTunes or other podcasting services. 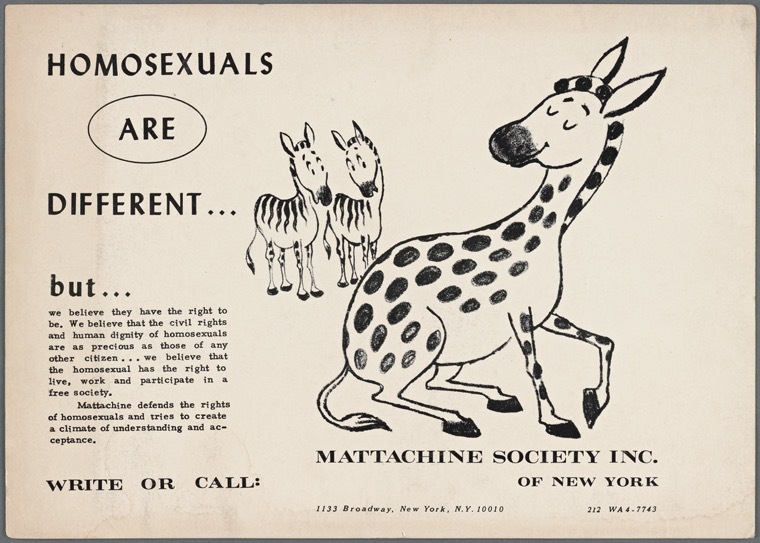 An early advertisement put out by the Mattachine Society, urging people to look at homosexuals different. 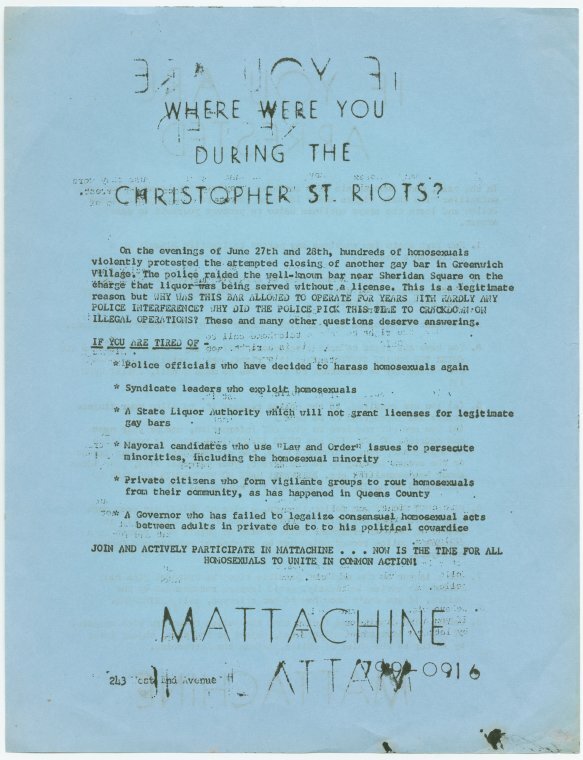 An example of the types of flyers circulating in the West Village following the Stonewall incident. 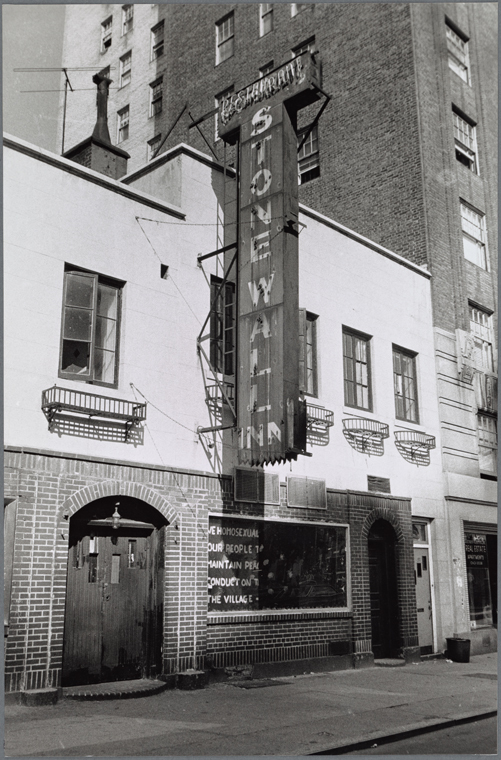 The Stonewall Inn was closed shortly after the battle with police, not to be reopened again until 1990. 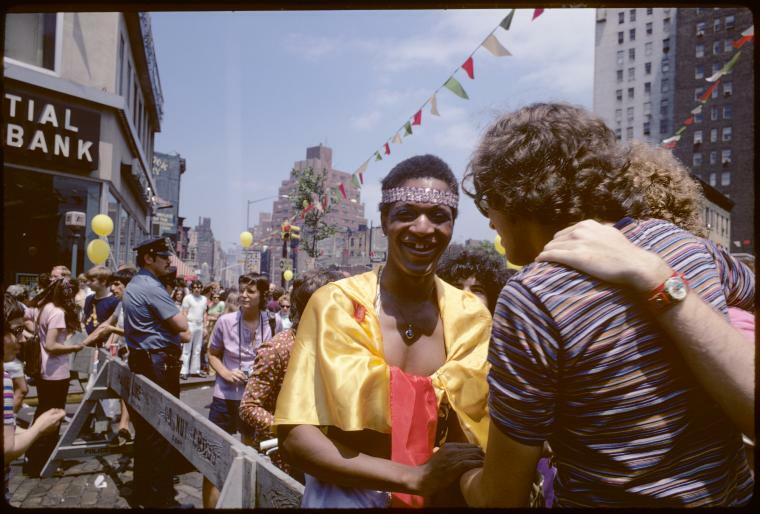 From the first parade (in 1970) to Central Park, the first of what would later be called the Pride Parade. 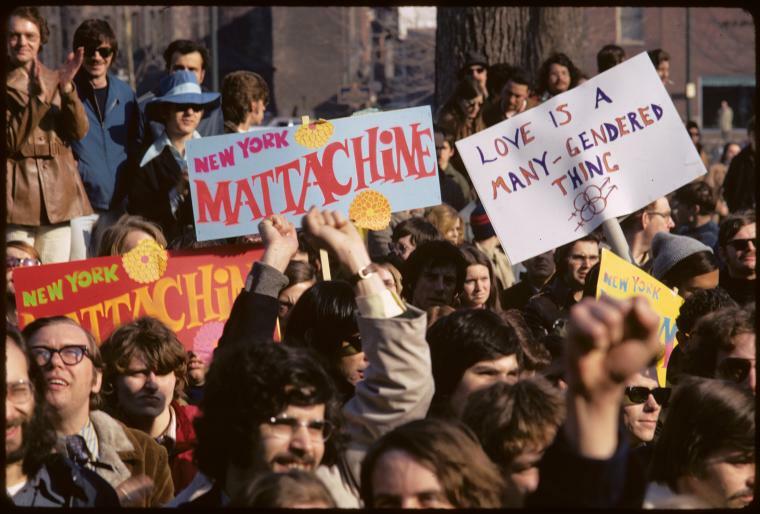 The parade ended with a gigantic rally in Sheep Meadow in Central Park. 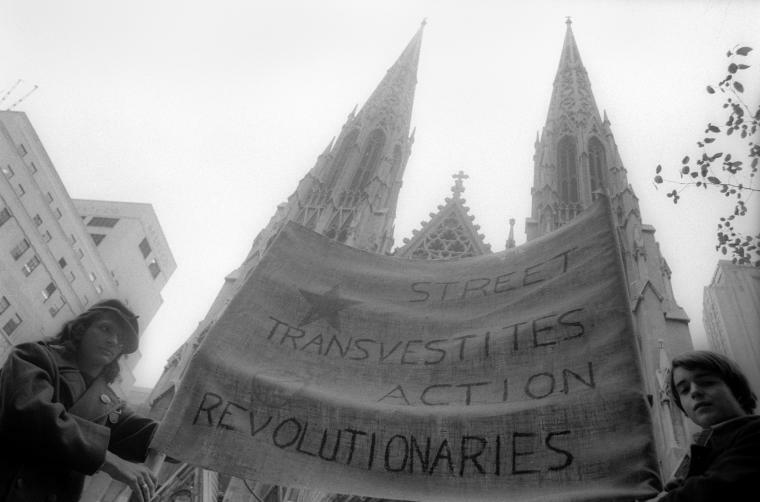 From a 1971 demonstration in front of St. Patrick’s Cathedral. 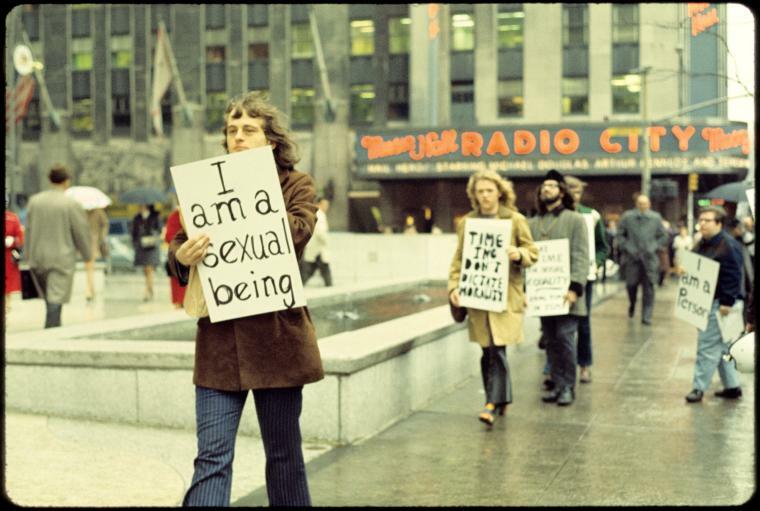 ….and another near Radio City Music Hall. 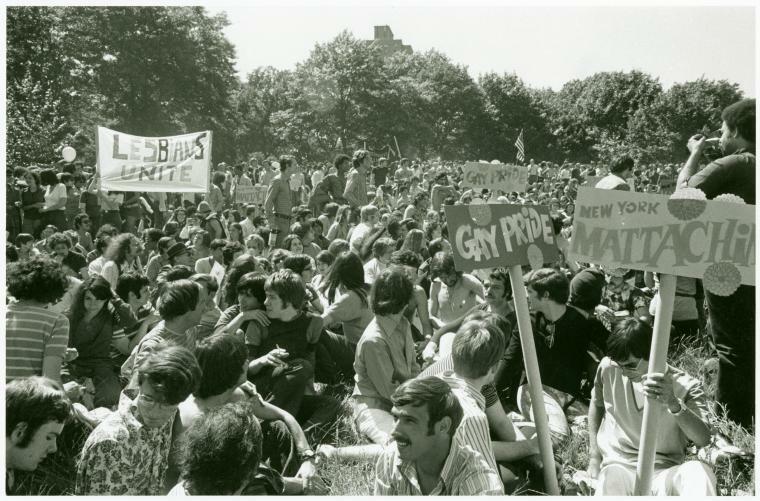 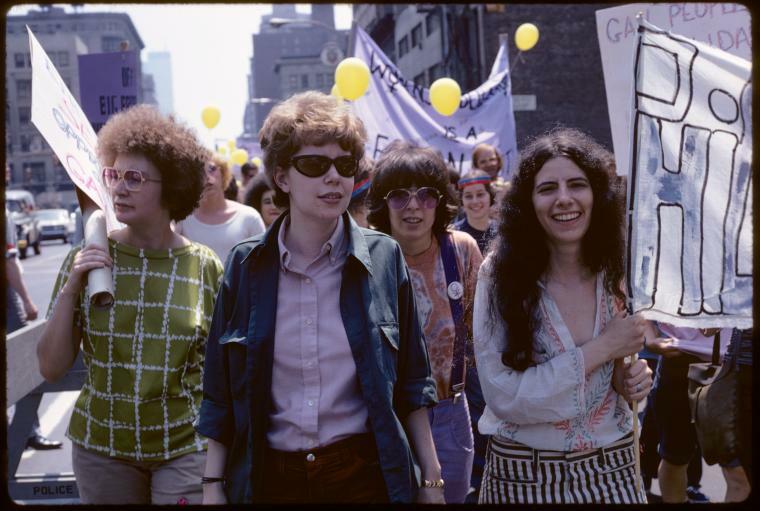 Gay rights demonstrations from 1971 at the state capitol in Albany, NY, from an incredible collection of pictures by Diane Davies, courtesy the New York Public Library. 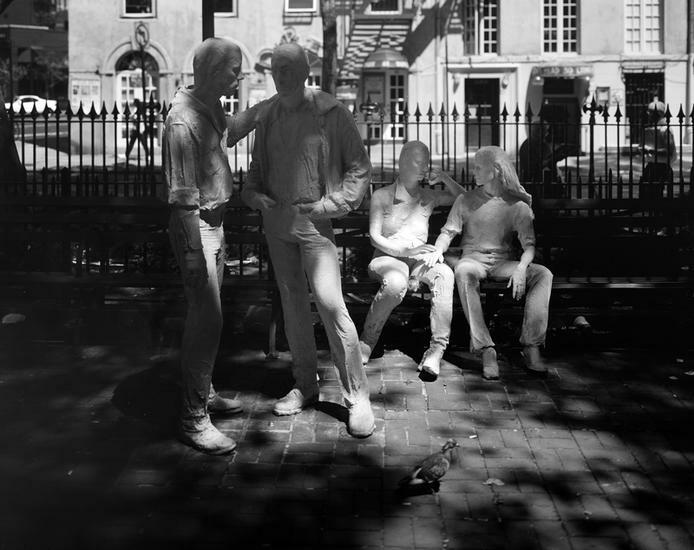 Gay Liberation, how the statues looked when they were first installed in 1992. 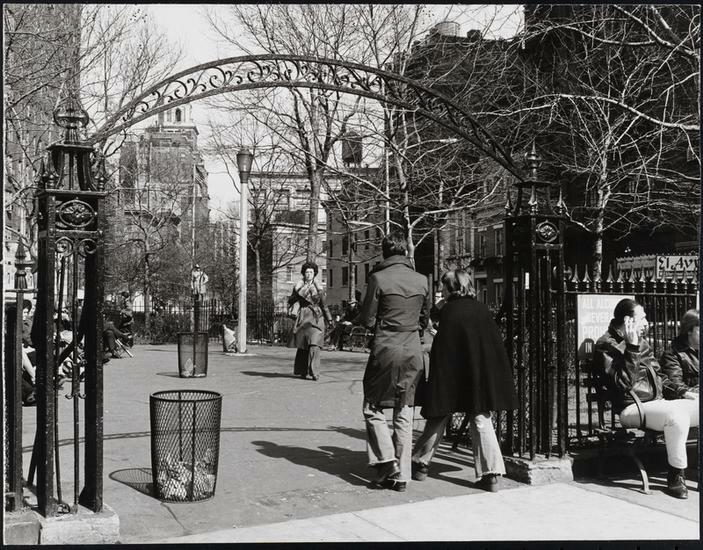 An early AIDS march from 1983 which began near Stonewall in Sheridan Square. 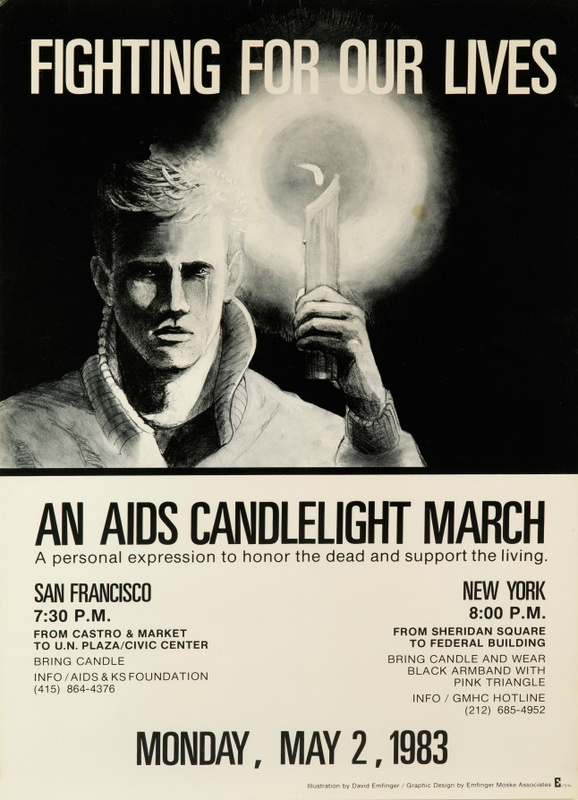 During the AIDS crisis of the 1980s and 90s, many turned to the example of Stonewall as a way to unite the community and fight back against homophobia. 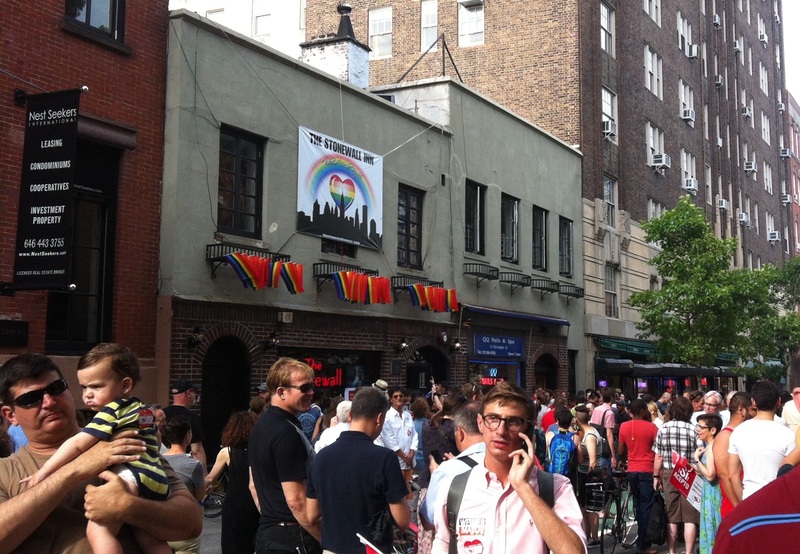 In front of Stonewall in 2013 after the announcement of the Supreme Court verdict in United States v. Windsor, overturning the Defense of Marriage Act. 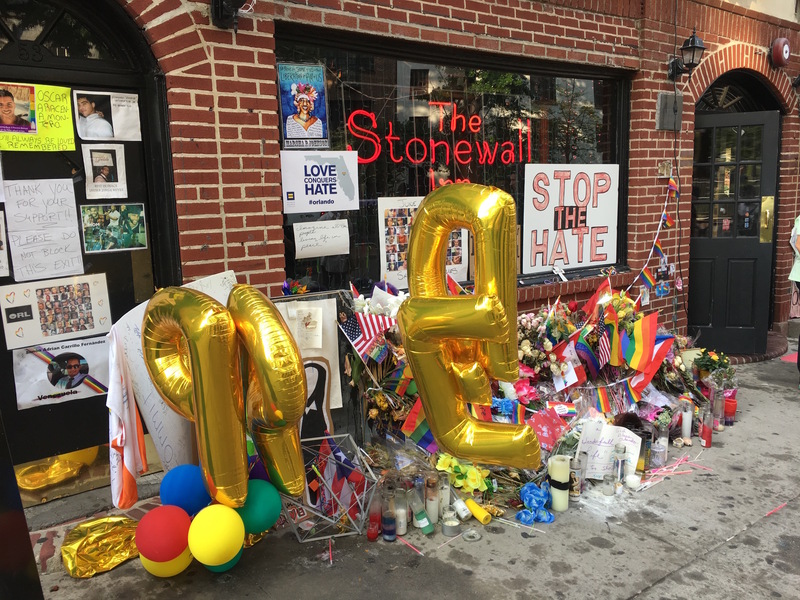 Outside the Stonewall in 2016, following the Pulse nightclub shooting in Orlando, Florida. 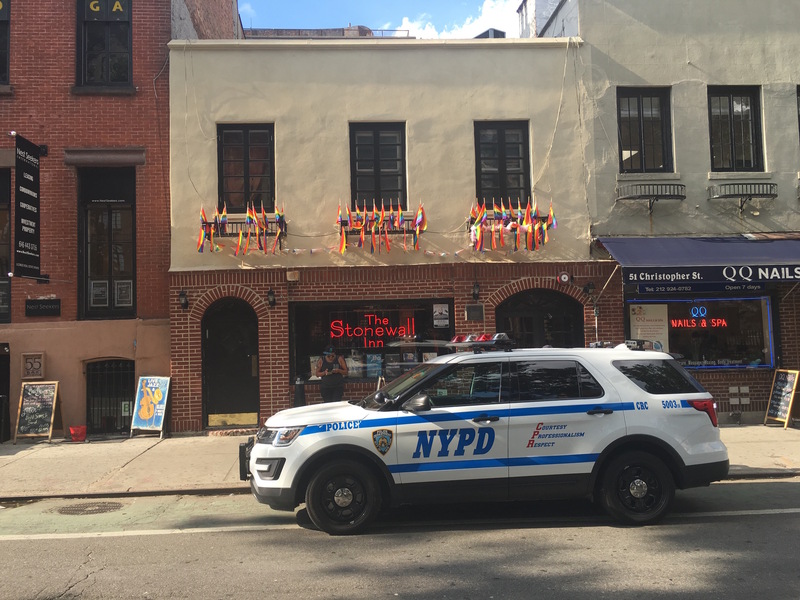 Stonewall 2016, now with police protection! 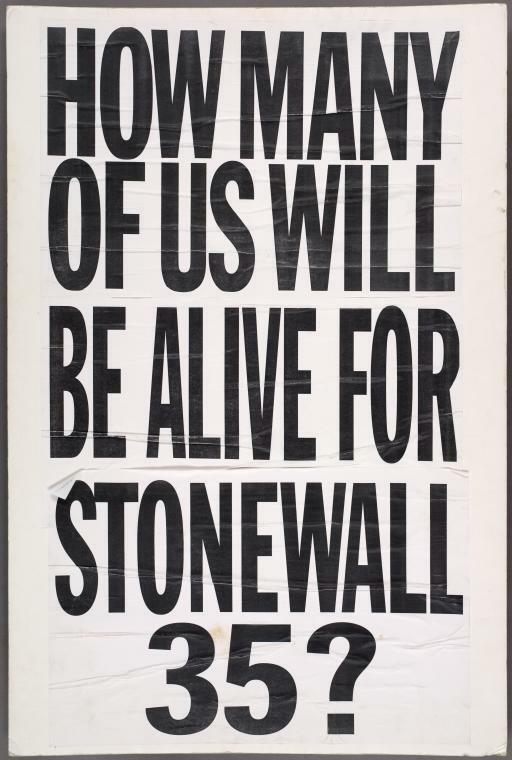 Taken in August 2016, following the announcement of Stonewall as a National Monument.